This week I talked about the topic Bordeaux 2008 with John Kolasa, winemaker at Château Rauzan-Ségla and Château Canon, and with Arjen Pen from Château Richelieu (Fronsac). 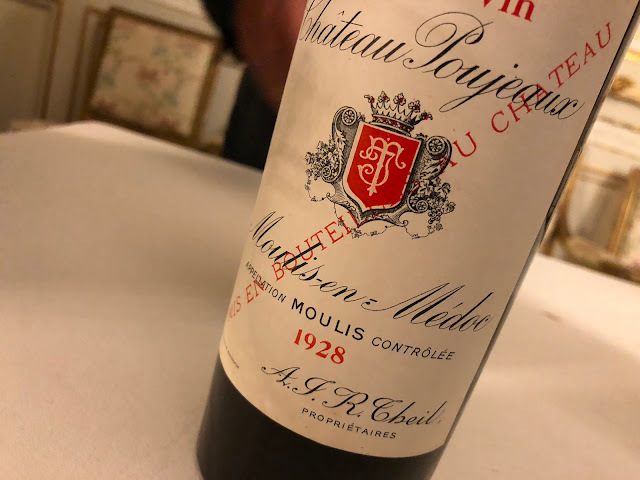 Since my previous (and first) posting about Bordeaux 2008 (30 October 2008) the wines have evolved a bit further, most importantly the malolactic fermentation has ended. As I wrote before, one of the characteristics of Bordeaux 2008 is its acidity level, which is relatively high. With the "malo" finished, this level has come down. And according to Kolasa a little bit more than expected. The current acidity level is now slightly above that of 2006 and 2007. It gives freshness to the wines. More in general, Bordeaux 2008 seems to be becoming a vin de garde. However irregular (for details see my previous posting), the growing season was long and relatively warm. As a result the natural alcohol level is quite high, and the wines have a solid structure and much colour. The low yields contribute to this − Bordeaux 2008 showed the lowest yields since the 1991 vintage. Earlier I mentioned the good results for the cabernets, and the difficulties with merlot (particularly in the Graves region) but this point needs some differentiation, or nuance if you want. John Kolasa pointed out that on the right bank − in general − the merlot recovered quite well from its difficult start. On the left bank it suffered more. This has to do with the difference in soil type. Simply said, the right bank soil (more clay) is less demanding to the vine − it will be able to show more lenience throughout the growing season. Actually Kolasa thinks the merlot he harvested is of very good quality, perhaps not as great as it was in 2005 and 2006, but better it seems than in 2000 and 2001 for example. A specific year to which we can compare the 2008 right bank? Well, perhaps 1990. For Kolasa the left bank is − more or less − reminiscent of the 1998 vintage. Arjen Pen is also very satisfied with his merlot, even more so than with his cabernets (but he is most satisfied with his malbec!). He points out that for various domains the amount of rot in the vineyards − in the end − determined the moment to harvest the cabernets − simply the result of the very long season. So time will tell if we can talk about a left or right bank vintage, and as Arjen Pen rightly points out, it is often too simple to summarise a vintage as − just − a left or right bank vintage. But most important, it seems that with 2008 we are looking at a good Bordeaux vintage! My next posting will be about the Bordeaux 2008 primeur campaign − what to expect from it (or not) in this period of financial crisis… but first I will be visiting… la Champagne! Nice, i learned alot from your page, thanks my friend.